In a post in this space about a week ago, I discussed how occupation erodes democracy in Israel. We now have an even starker example of how the Israeli mindset, in the leadership and in a significant and growing sector of the public, is showing the effects of nearly 43 years of occupation. The Israeli government has increasingly involved in what one might call “NGO wars.” Partnering with the extremist right-wing group, NGO Monitor, Israel has been actively trying to undermine its own human rights community, rather than trying to confront it in the court of public opinion. 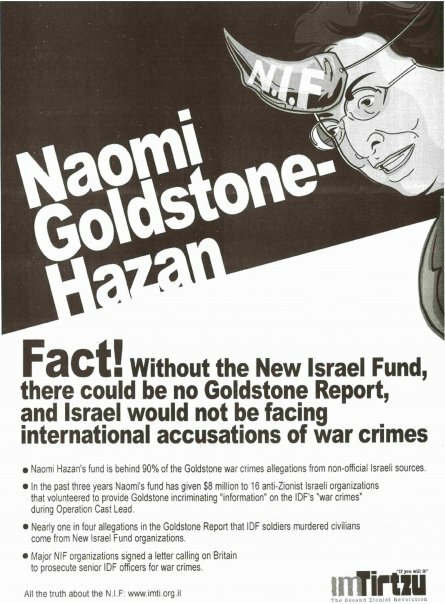 The government has also tried to block foreign funding to such groups (something which must be understood with two facts: one, that Israel does not have a network of foundations as exists in the US to fund NGOs, nor does it devote significant resources to such things as they do in Europe; and two, this attempt was very selective, not a principled stand against foreign funding of NGOs in general, but, like NGO Monitor, only targeting NGOs that might be critical of government policies).